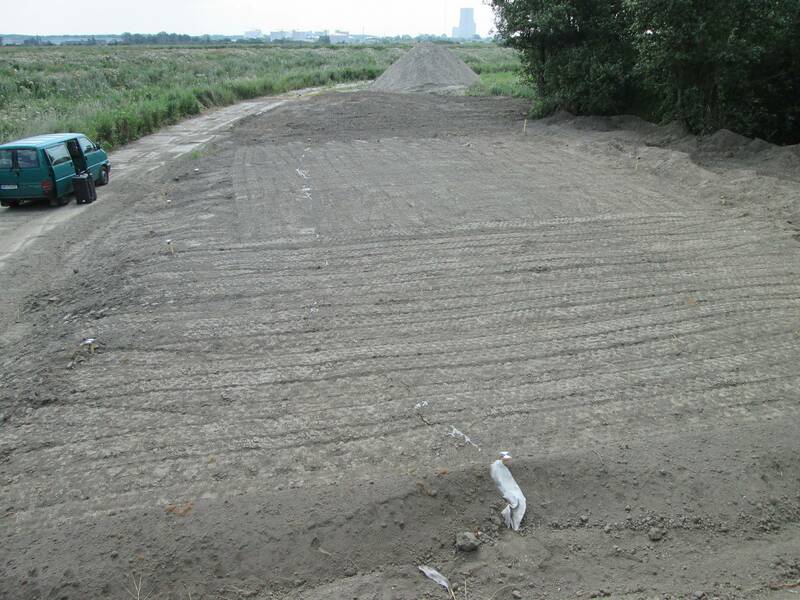 In the installation tests two different materials were installed (a fine-grained and a sandy dredged material). 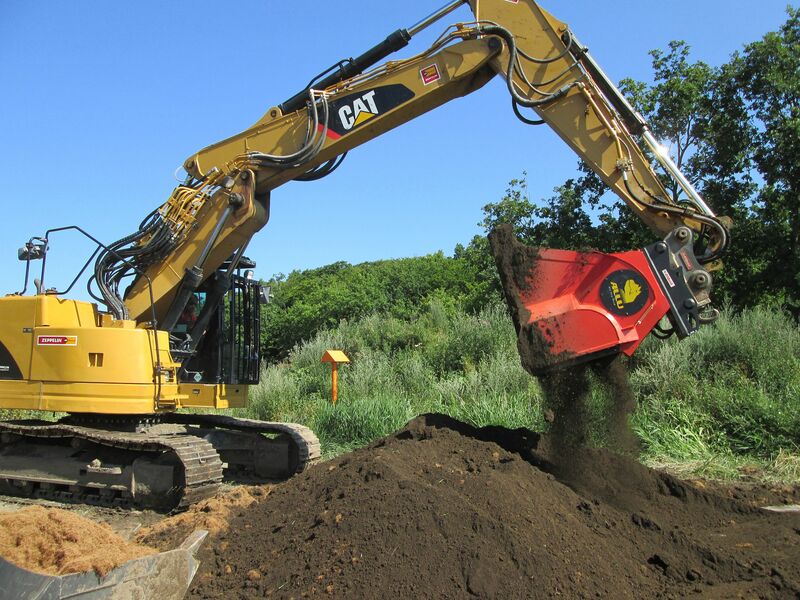 The materials were homogenised using a screening bucket fixed to an excavator. For comparison, also non-homogenised material was installed. 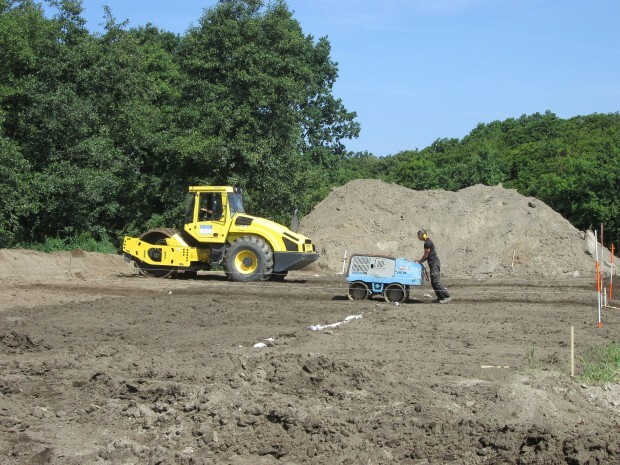 Compaction was realised with the excavator shovel, the excavator tracks (replacement for the bulldozer), a small compactor and a large sheep‘s foot roller compactor. The tests are now being evaluated in the frame of a master‘s thesis. The results will be available on the project website by the end of 2014.